This post is sponsored by Ocean Mist Farms. 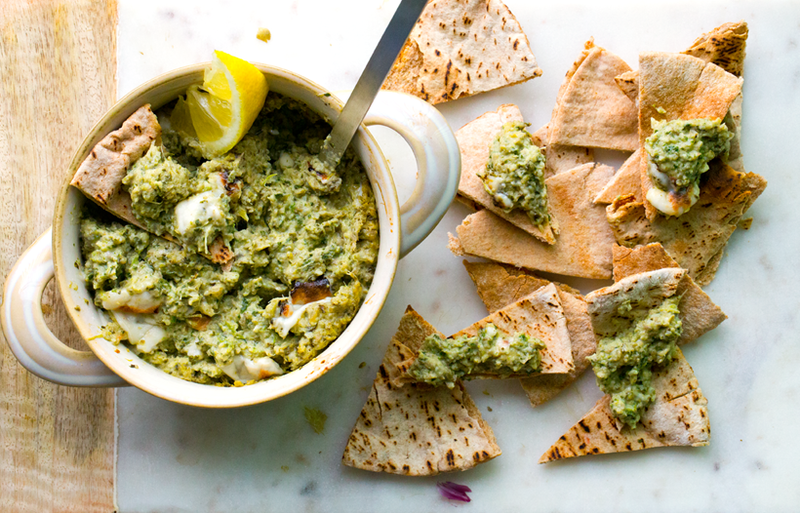 On Oscars Sunday, my husband and I were busy diving into today's recipe for Lemon + Garlic Fresh Artichoke Dip. 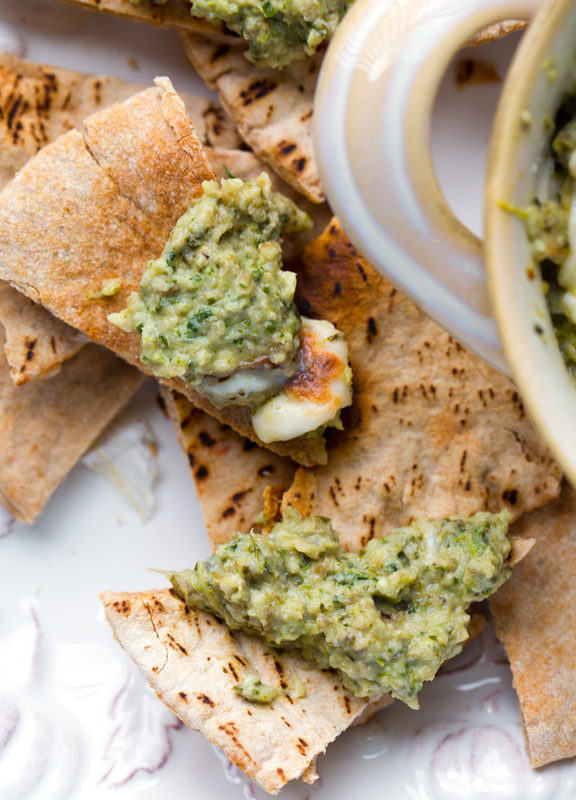 This flavorful vegan dip is served warm and cheesy. It was SO GOOD. And surprisingly easy, btw. But before I get to the recipe... Three things. - Number one, I grew up in Santa Cruz California, just a short drive away from Castroville, the "Artichoke Capitol of the World." We drove by that iconic giant artichoke so many times on our way down to Monterey! - Two, I write a vegan food blog for a living and have published two cookbooks. I cook a lot. Especially with veggies. - Now here comes the crazy part, number three, I have never worked with fresh artichokes in my kitchen. Whaaa? Madness. 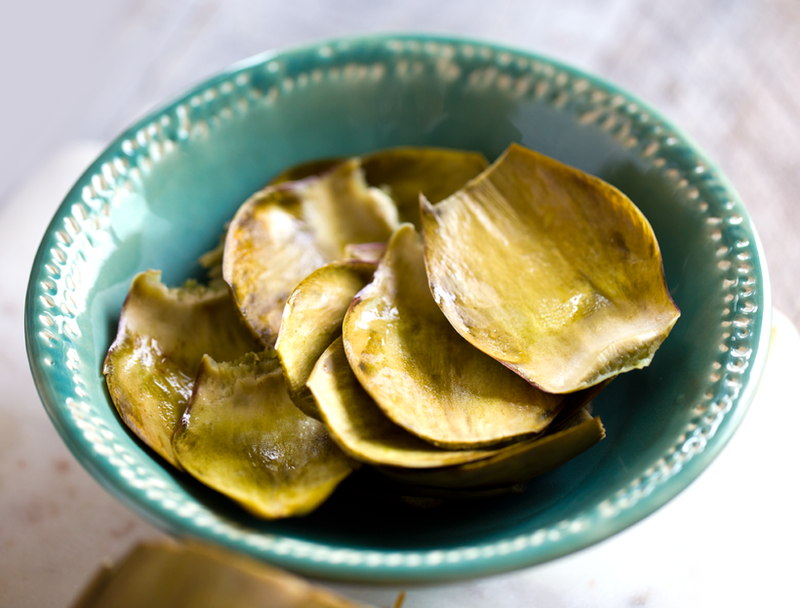 Like most people, I have used artichoke hearts many times. 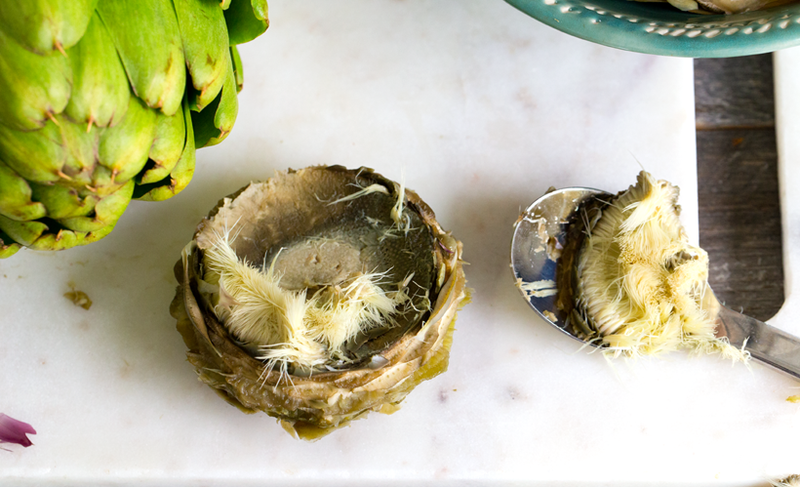 Artichoke hearts that come in a jar or can, where you can have access to 10-15 hearts just by twisting a lid. But trust me, the prep work with using fresh artichokes is worth it! And you get access to those lovely, edible leaves as well. 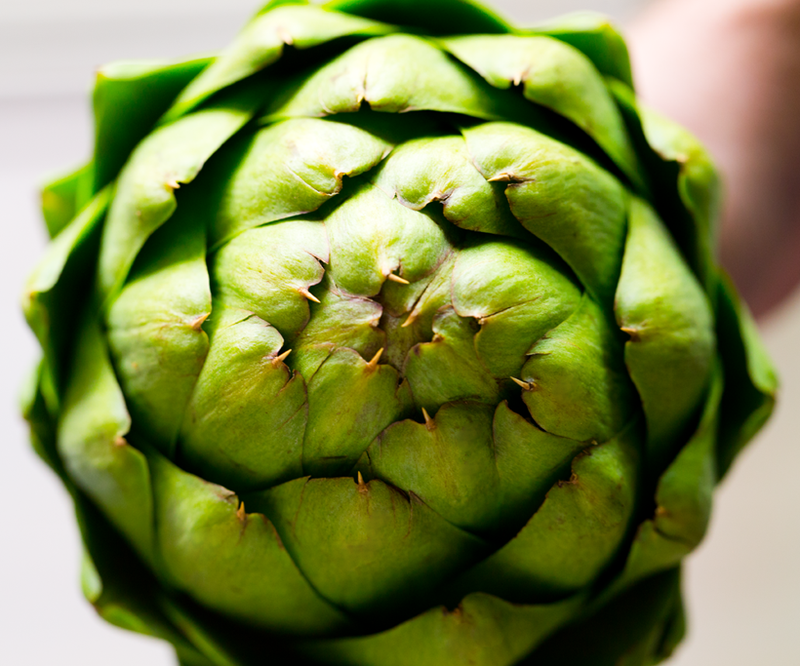 As I worked with my beautiful fresh artichokes from Ocean Mist Farms, I learned a few things! I am excited to pass on my newfound knowledge to you. And hopefully inspire you to buy fresh artichokes the next chance you get. Before, all spring green, and then after prepping and steaming.. This dip. I am going to make this so many times in my life now. 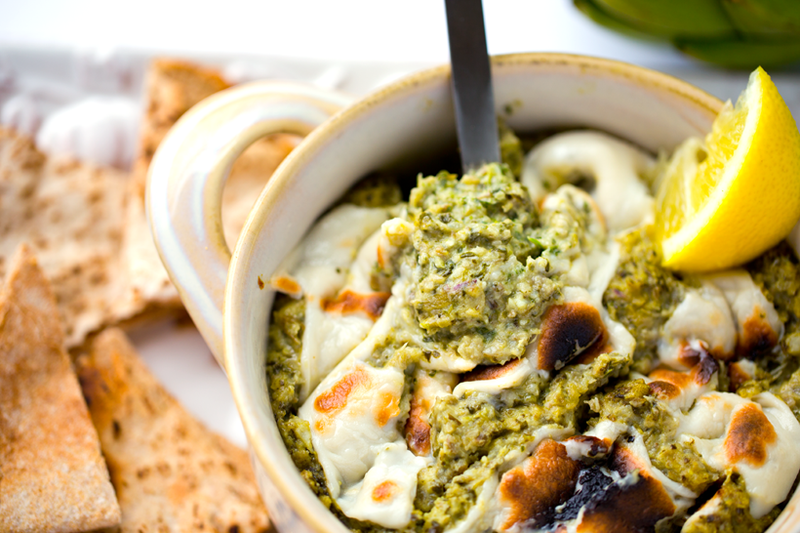 Invite me to your party and I will gladly come with this dip.. Cooking with Fresh Artichokes. So once I had my fresh artichokes in stock I started googling all the "how to" videos I could find. I watched a few and felt confidant to dive right in. The big question I had was: "What parts of the artichoke can you eat and which do you discard?" That question basically answered itself as I peeled away the layers and used my instincts. The answer to that question: You can eat the heart, and even the stem is edible. You can also eat the bottom meaty part of the larger tender leaves. The parts that you cannot (or probably wouldn't want to) eat are the thicker, woody parts of the leaves and any leaves that are stringy or tough. Then you definitely do not want to eat anything pointy with a spike! Be careful when handling artichokes. They do have little spikes on the ends of most leaves. Removing the fuzzy tuft above the heart..
My other observation is just how beautiful artichokes are! They each look like flowers, unique and romantic and lovely yet filled with drama. I mean, these beautiful spiky green buds look like they should be nicknamed "dragon veggie." Check out those pretty scales! I think the Mother of Dragons from GOT would approve. I remember when I was a kid my dad, who grew up in a very Italian home, would rave over artichoke hearts. I am pretty sure his mom used to work with fresh artichokes in the kitchen at some point. So I felt like it was my familial duty to crack open the mystery of artichokes. And I did. And now I'm in love. 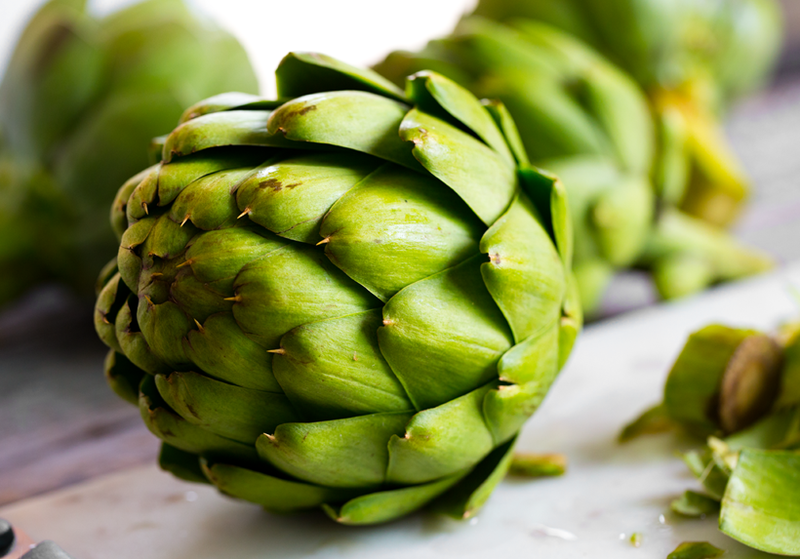 - Cooking with fresh artichokes may feel a little intimidating at first, but is actually much easier than you probably imagine. 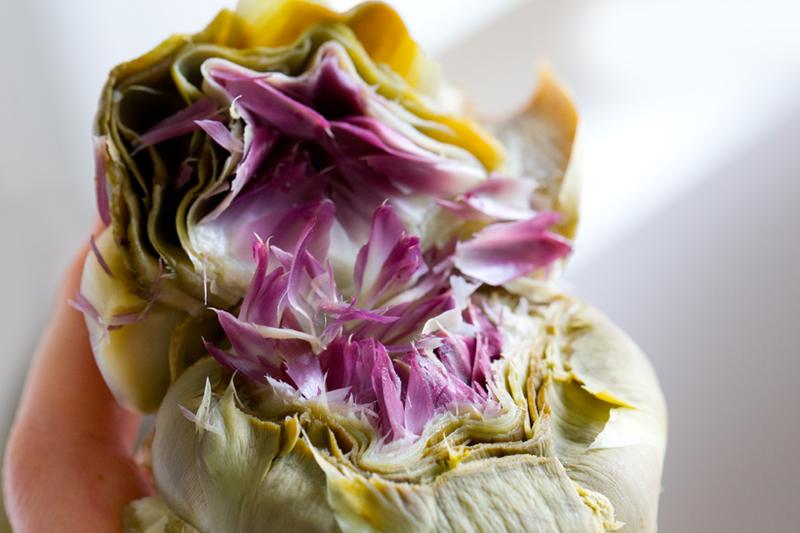 - Fresh artichoke hearts have such an amazing flavor! 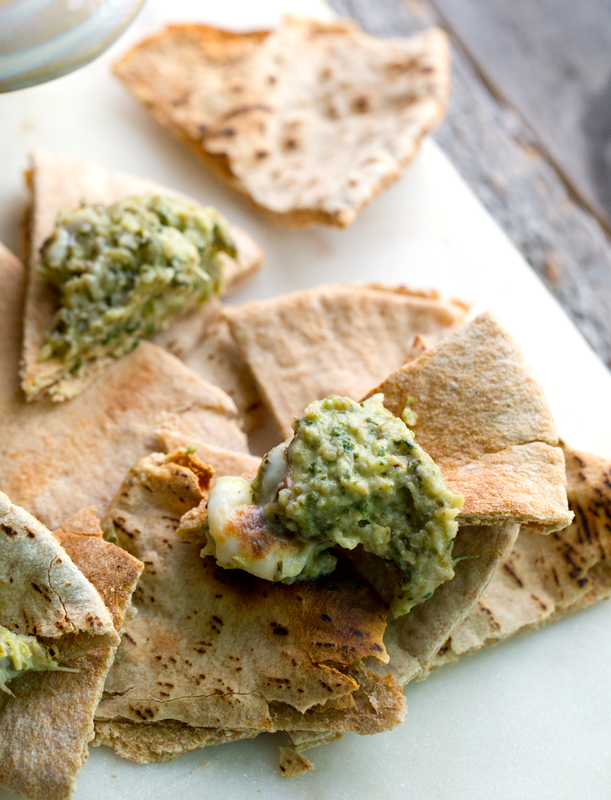 The texture is SO much better than a canned or jarred artichoke heart. And that is important for something like a dip. As with most produce things, fresh is usually best. 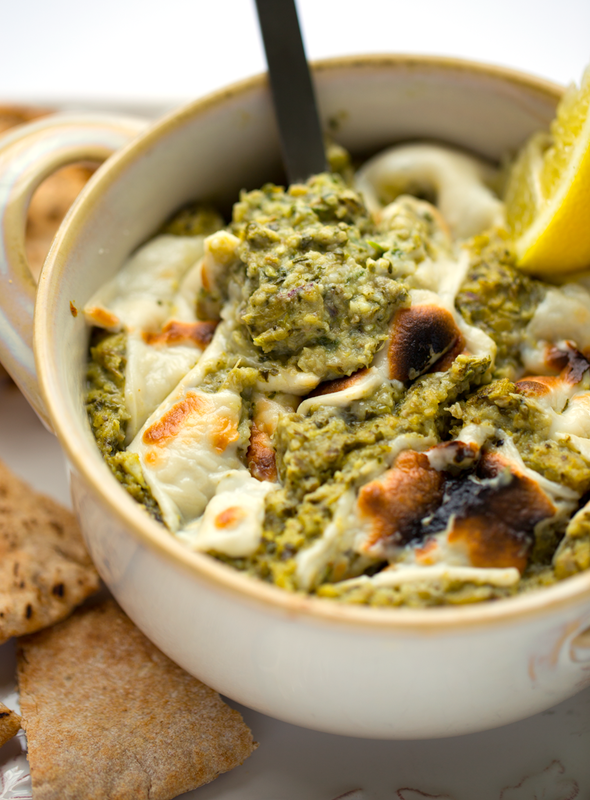 - Fresh artichokes can be used in a variety of recipes. Those hearts could be added to salads, stir-fry, pizzas, dips, sauces and so much more. Watch me prep my artichokes!.. 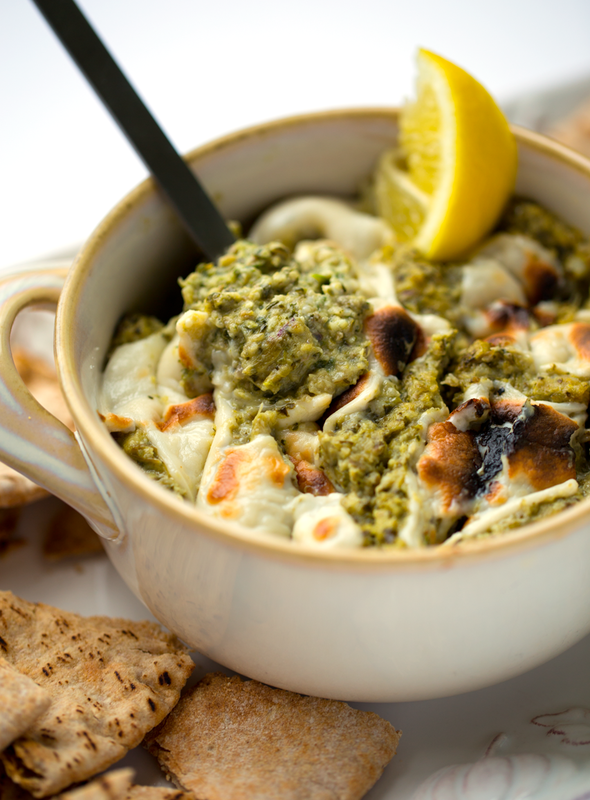 So, now that you are super excited about artichokes, one more thing to get excited about. Ocean Mist Farms, my partner for this post, is hosting an amazing Heartichoke Getaway Promotion!.. As their spring harvest season kicks off, they are celebrating their love of artichokes by giving away a trip for two to Monterey, CA this June to attend the annual Castroville Artichoke Food and Wine Festival. You and your favorite travel partner will enjoy a weekend filled with food, art, entertainment, cooking demos, beer & wine tasting, field tours and more! 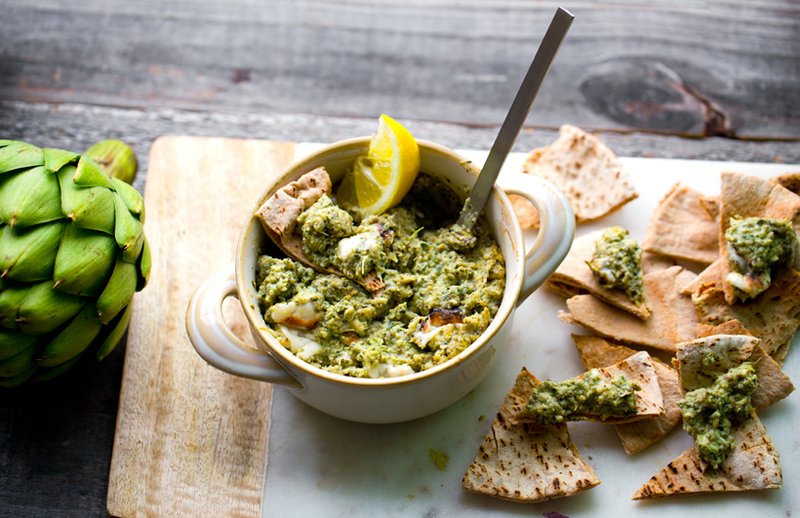 And get my yummy dip recipe below..
Blending the dip is easy! I used my Vitamix, you could also use a food processor.. Pretty purple accent in this artichoke!.. 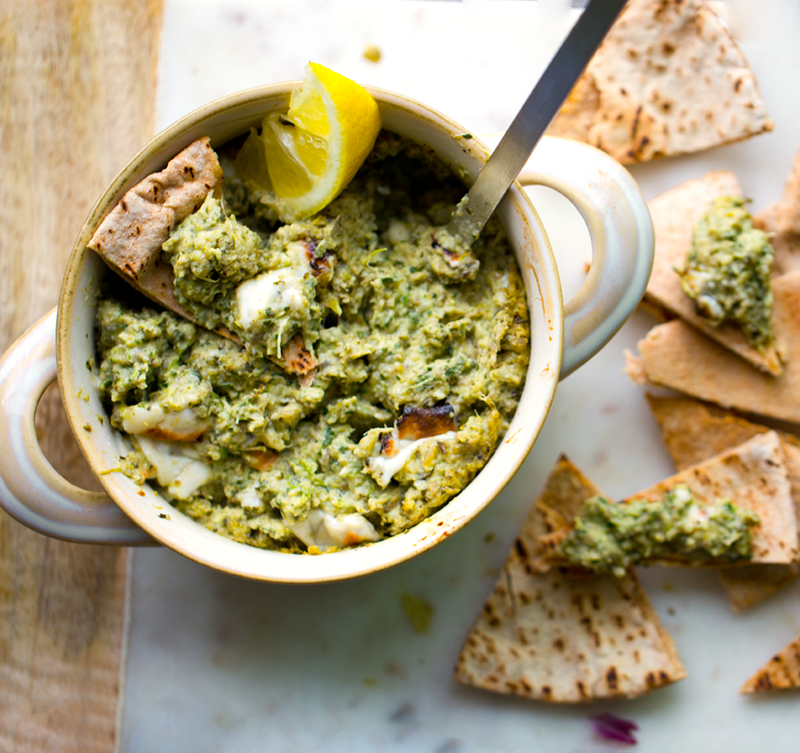 This lemony, garlicky spinach and artichoke dip is super flavorful and delicious when served warm with a layer of melty cheese on top. 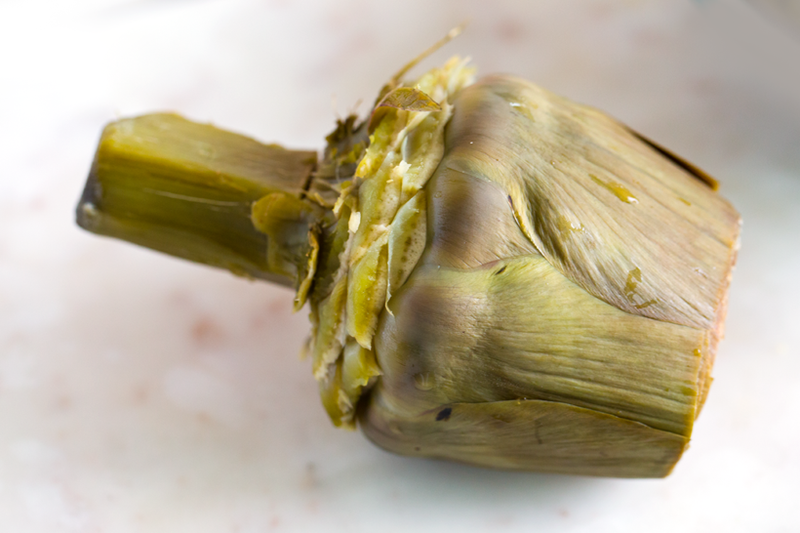 Prepare the artichokes: Remove the small or woody outer leaves. Using culinary shears, cut off the tips or all the leaves. 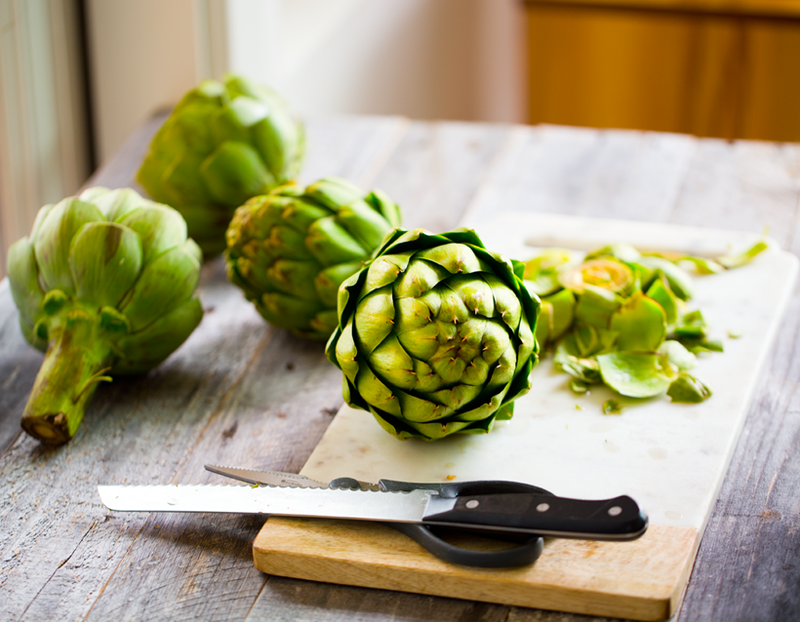 Then using a bread knife or sharp Chef's knife, cut off the top of the artichoke. 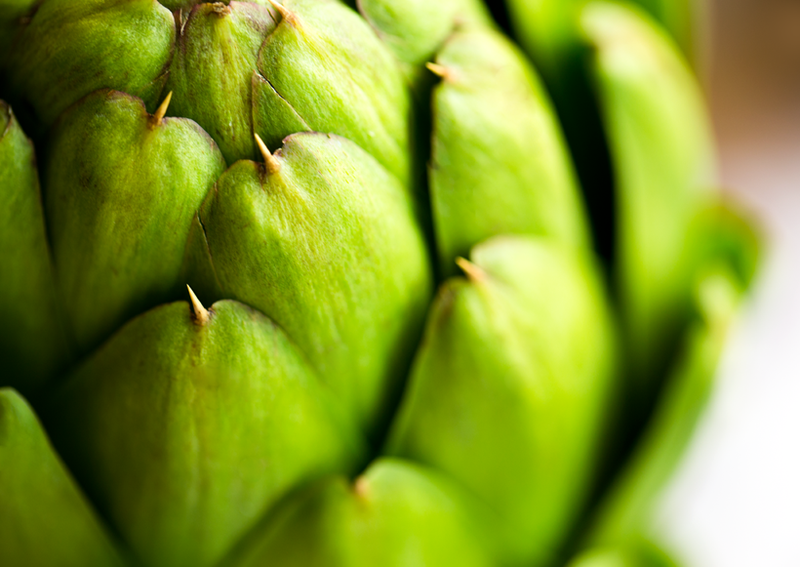 Rinse the artichoke in water. Repeat with all three artichokes. 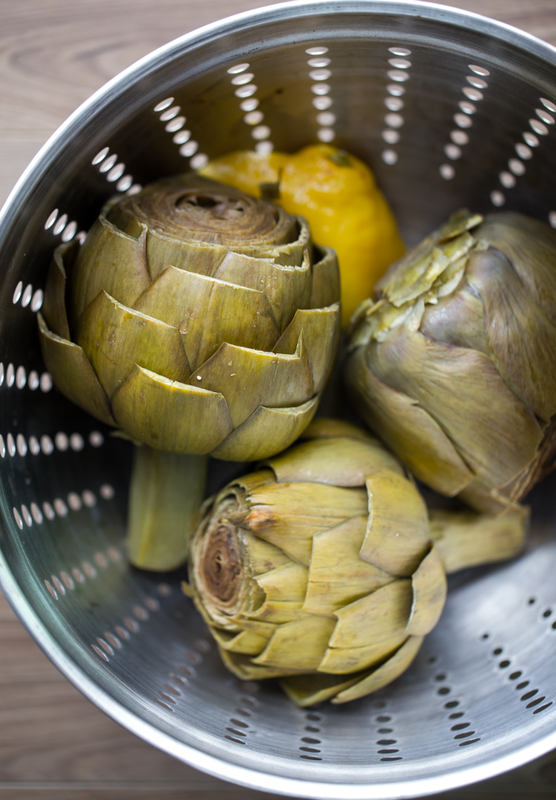 Place the artichokes in a steaming basket and steam for 35-45 minutes or until tender and leaves easily pull away. Remove all the leaves. You can either eat these leaves separately or attempt to scrap off any of the meaty flesh from the leaves. Remove and discard any leaves with spikes. Also discard the fuzzy tuft at the top of the heart. Slice the heart and add to a side bowl. Continue until you have all your hearts and flesh gathered. 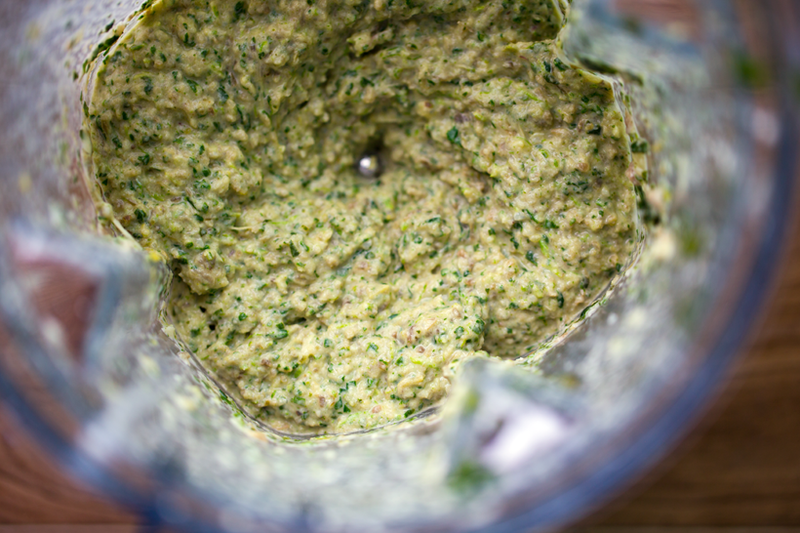 Add the artichoke hearts, spinach, lemon juice and zest, vegan mayo, garlic, salt and pepper to a blender or food processor. Blend until smooth yet chunky. Do a taste test. Add more vegan mayo or salt if desired. Spoon this mixture into an oven-safe serving bowl. Add the vegan cheese to the top of the dip. Bake at broil for about ten minutes, or until the cheese on top begins to brown and bubble, and the dip is warmed through.